The Internet has dramatically expanded the number of money-making opportunities for those who are ready to take advantage of them. 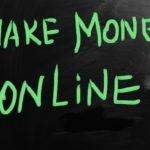 There are dozens of great ways to make money online; you just need to know what they are. Once you have identified the best online money making ideas, you can start to earn more money right away. There are millions of people out there earning money online, and you can join their ranks once you know how to get started. Give some of these ideas a try to start making money right away. Before long, you may be able to support yourself with your online earnings. 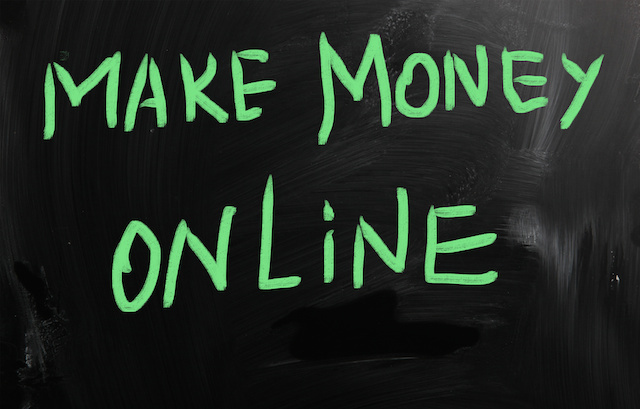 One of the first things that you should do when you are starting to earn money online is to set up your own website. At first this does not have to be anything too fancy, but you need to have a central site where you can organize all of your activity. You may just have a blog at first, but as your online activities grow more complex, being able to organize everything in one place can make it a lot easier to keep track of. There are two basic approaches to earning money online: you can use the Internet to facilitate the sale of physical products or services, or you can sell online services themselves. Either approach can be an effective way to earn money, and you can also combine the two for even greater earnings. For example, in the first category, you can sell things on eBay or other auction sites. Every day, millions of items are bought and sold on eBay, and there are many people who are able to support themselves entirely by doing so. However, making a significant amount of money on eBay takes some inside knowledge. You can’t just toss up a few auctions here and there and expect to make a lot of money. By learning the tips of successful selling on eBay, however, you can start to make more money. For example, you need to learn how to write persuasive and appealing product descriptions so that people will want to buy what you have to sell. Investing in a good camera and some basic photography skills will let you take great pictures of your items. In general, the more attractive your pictures are, the more likely people are to bid on your auctions. Another one of the best online money making ideas is simply to start blogging. At times it can seem as if everyone has a blog, but many of these blogs are never updated and never earn anyone a penny. However, once you know what to do, you can monetize your blog and turn it into an earnings machine. The main way in which most blogs earn money is through advertising. By signing up with Google AdSense or a similar program, you agree to have relevant ads displayed next to your posts. The more who click on an ad, the more you get paid. The goal, therefore, is to get as many readers as you can for your posts. There are two main strategies that you need to use to build an audience. First, and most importantly, you need to be able to write content that people want to read. This means that you have to be able to identify your strengths. What do you know that no one else knows about? What is your expertise? Finding a niche and becoming an authority on that subject is the best way to succeed as a blogger. If you can provide people with content that they cannot easily find anywhere else, they will start to flock to your blog. Maybe you know more about comic books from the 1940s than anyone else, or you may be an expert on Peruvian cooking. Whatever your particular expertise may be, you need to take advantage of it. The next step is to promote your blog so that more and more people find out about it. Take advantage of the many opportunities out there to share links to your blog. Social media sites, such as Twitter or Facebook, are excellent tools for doing so. By learning the best online money making ideas, you can start to earn a good income through your activities on the Internet.